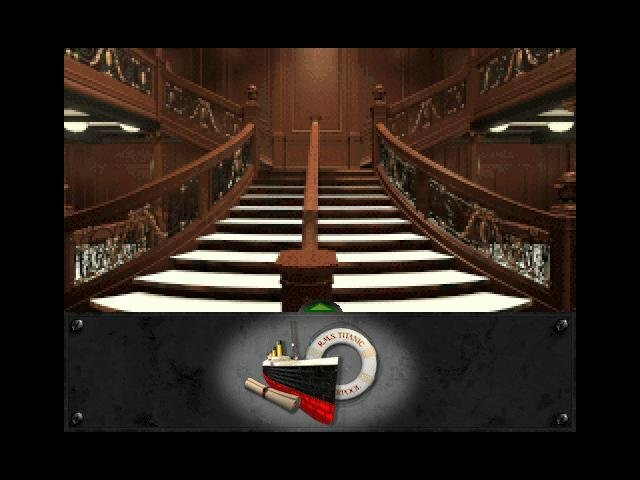 Attempting to be a faithful graphical recreation of the world’s most legendary cruise ship, Titanic: Adventure Out of Time lets you play as either casual observer, having access to each of the ship’s decks, or as an active player in the game’s story-driven mode which follows a familiar path of Myst-style puzzles and character interaction. 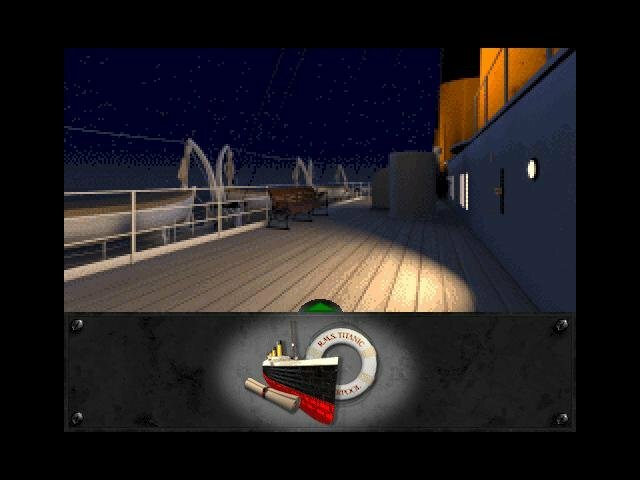 The product comes on two CD’s in the form of a guided graphical tour or a mystery adventure game that takes place during the time of the Titanic’s voyage. 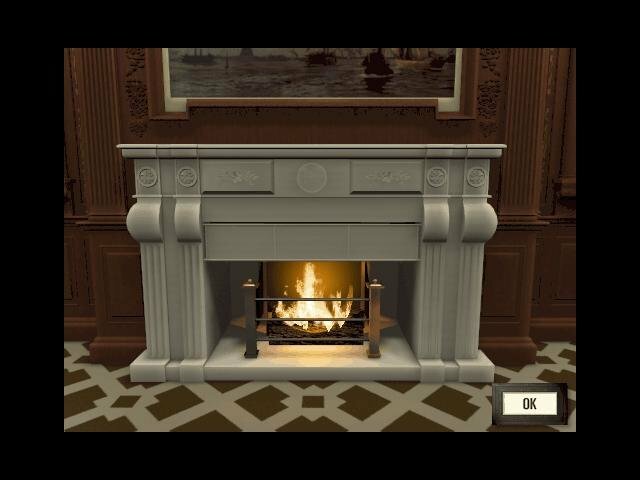 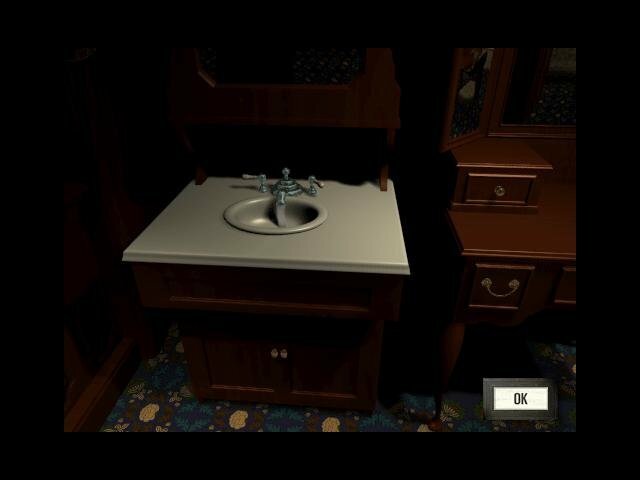 The game is played through a first-person interface, with pre-rendered stills acting as the game environment. 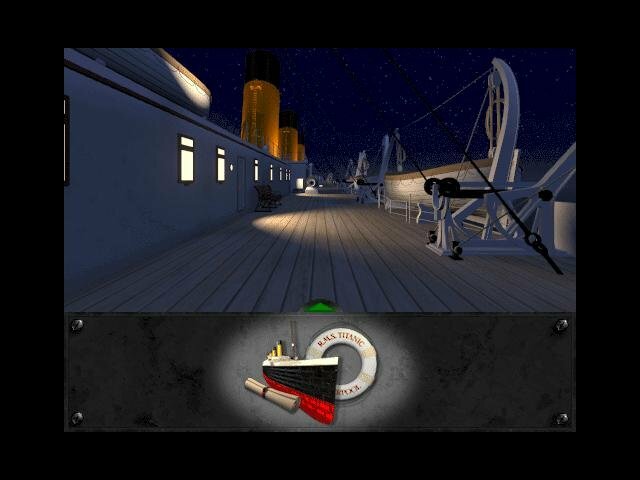 Unlike other such games, Titanic offers animated transitions between screens like another game with “Titanic” in the title (Starship Titanic). 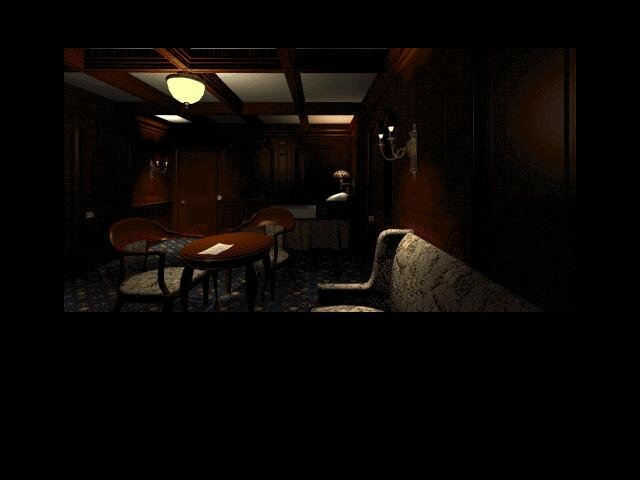 The quality of the environments, however, are pretty blurry and indistinct. 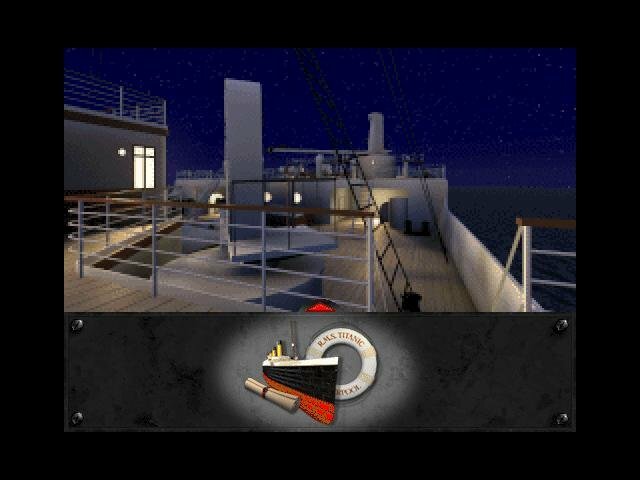 You just don’t get the sort of high-res dazzle that games such as Starship Titanic offers, and you’re almost cursing the game for not having a free-scrolling 360 degree camera to look around at your leisure. 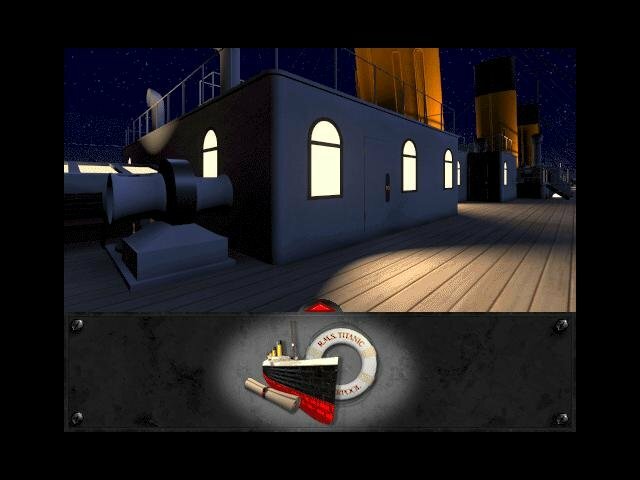 But while Titanic’s choice of navigation becomes traditionally restrictive, it is at least implemented effectively and with enough range to give some feeling of free movement. 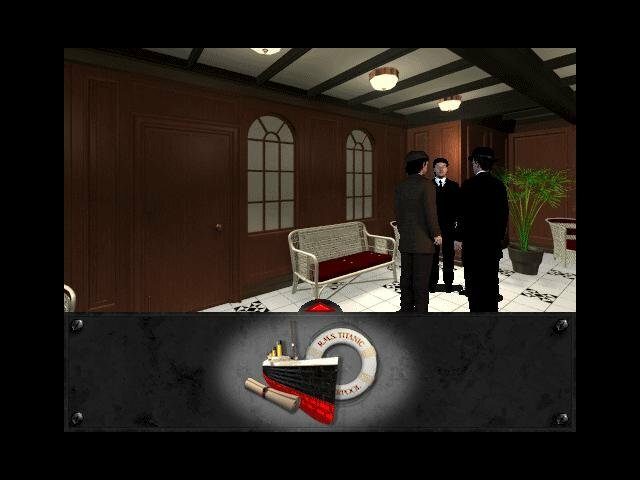 It also allows the player to move around in a lush environment with minimal graphics compromise. 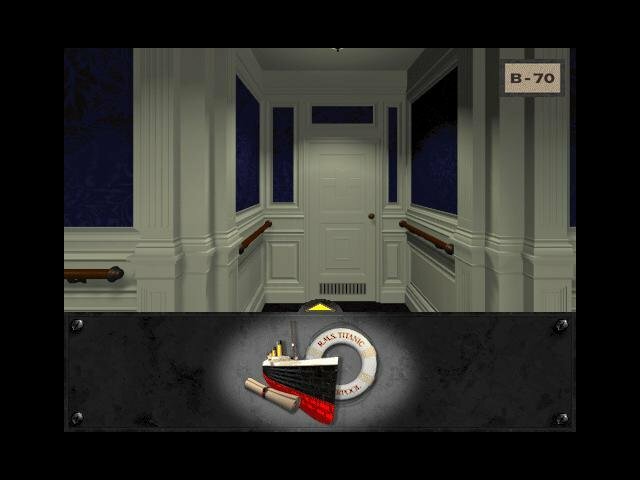 You play as a secret service agent in this point and click mystery game. 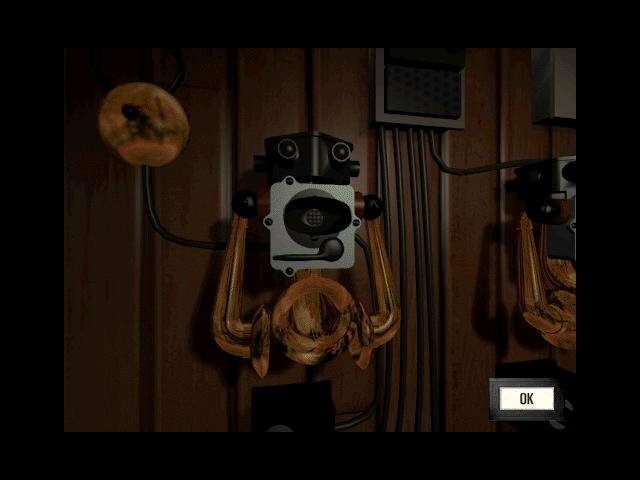 As such, you must interact with a host of passengers by conversing and extracting information and solving puzzles. 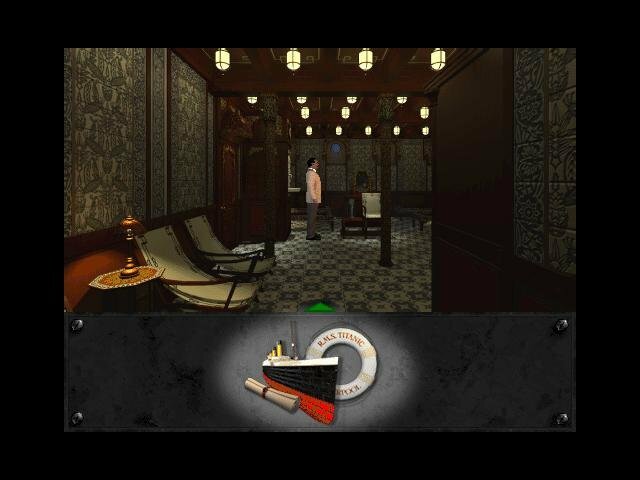 By far the biggest attraction of the game is the ability to explore the faithfully recreated luxury liner. 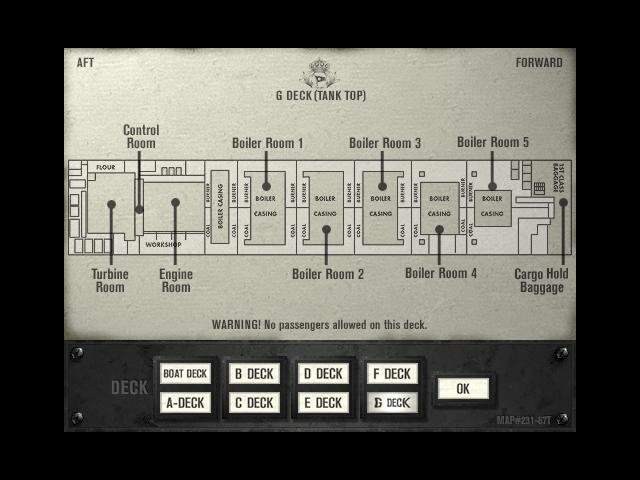 The game reproduces all decks from top to bottom. 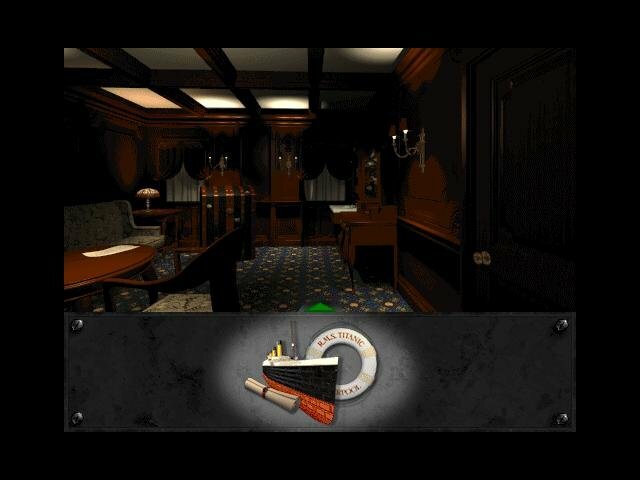 All the rooms, furnishings, decorations and other such things have been replicated with great care. Having the ability to roam the ship freely is one of the games central features, so you don’t necessarily have to go through the linear story mode if that’s your primary interest. 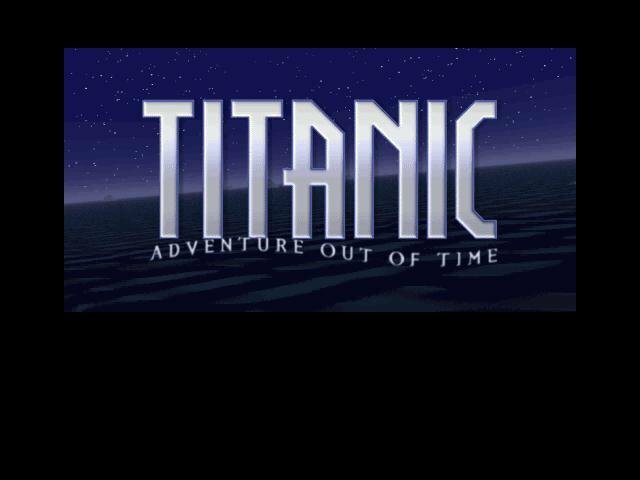 As an adventure game, however, it just doesn’t draw. 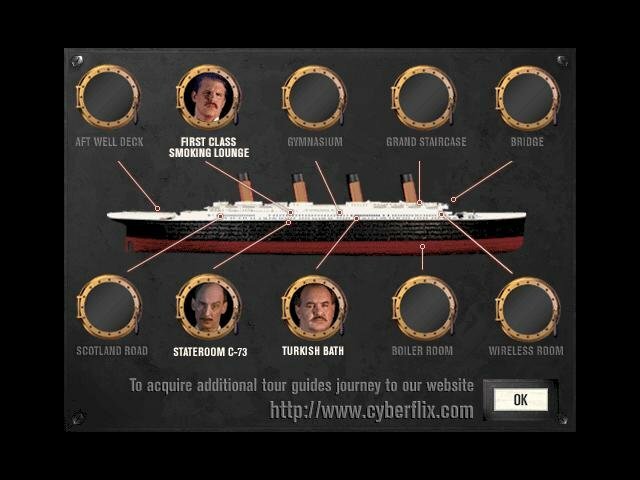 The cast of characters are silly and uninteresting, and the plot isn’t terribly compelling either. 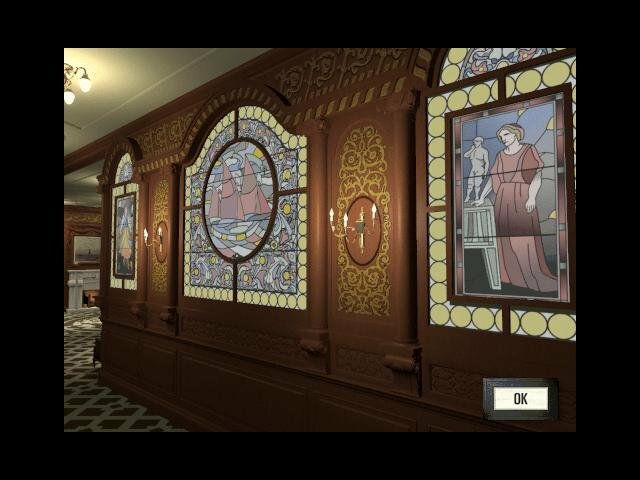 The game does bring some novelty to the table in the form of a non-linear storyline. 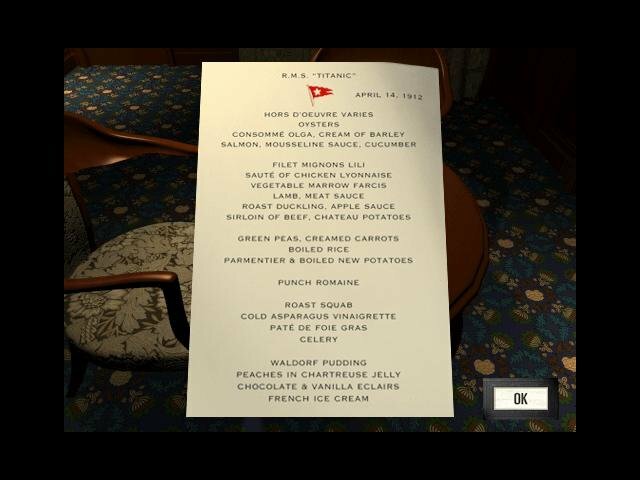 You can interact and complete a range of different tasks for various characters, making each playthrough slightly different. 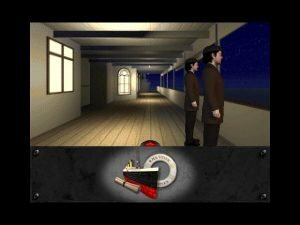 And as far as adventure games go, Titanic is pretty dialogue heavy – a detail some players will enjoy while others will despise (Discworld, anyone?). 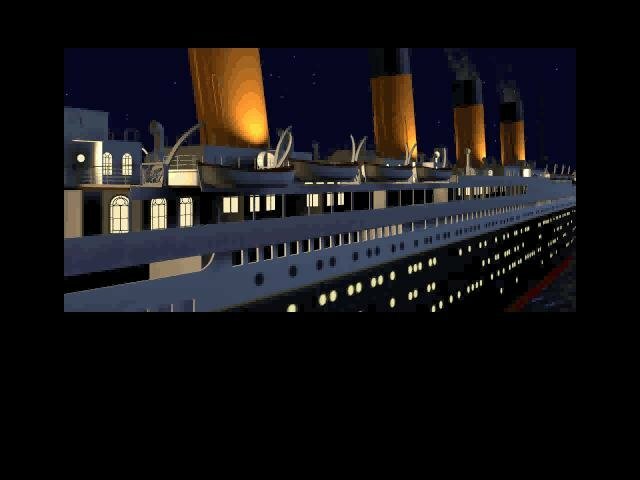 All of this stacks up to an eccentric if not entirely memorable adventure. 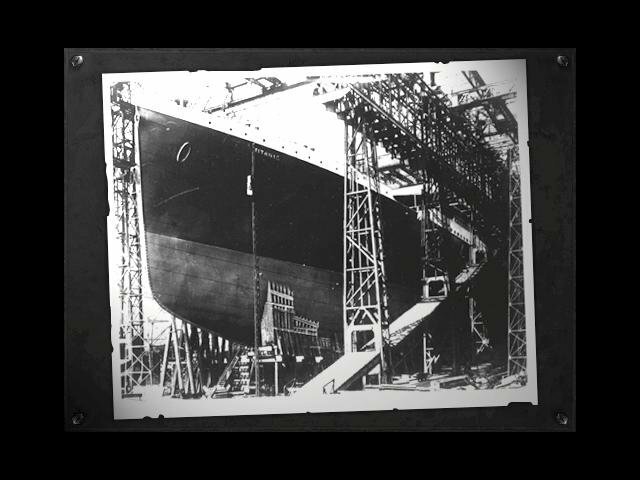 It’s more valuable as a historical curiosity than an engrossing adventure. 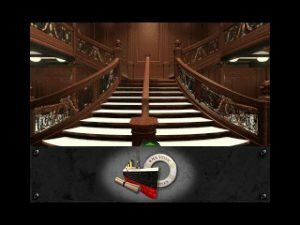 It’s most definitely ambitious in the end, offering a truly thorough interactive journey through the giant cruise ship like no game has done before.